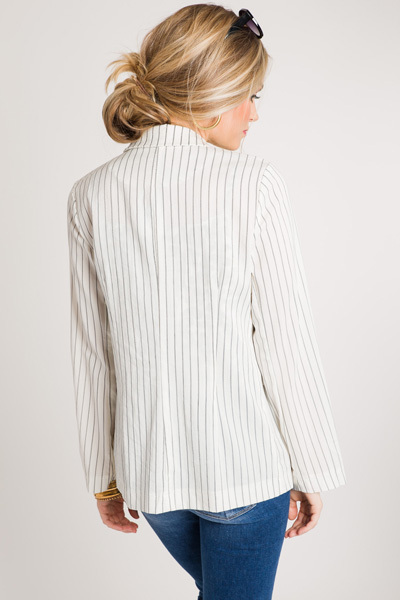 It can be hard to find a work blazer that is warm weather appropriate, but we've hit the jackpot with this one! Made from a lightweight rayon cotton-blend fabric with the pinstripe print we all know and love this time of year. Single button front closure. Fit is true to size, if not a bit small. Model is wearing size small.